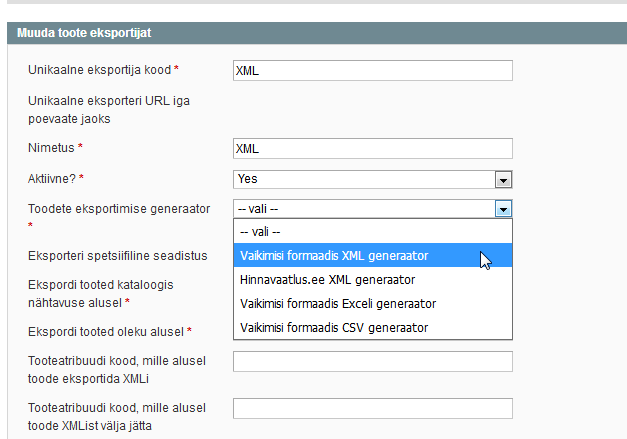 In just a few moments, you can generate a nice and compact EXCEL, CSV or XML file of your products. And/or upload a large number of your products sold online with just a few clicks to Hinnavaatlus, eBAY, Amazon or other sales environments! Do you want the product range of your online store to be listed on Hinnavaatlus, eBay, Amazon or any other sales site, however, the number of products is so large that it would be impossible or extremely frustrating to enter them manually? This is where the current module comes in handy, making this task very easy for you. It enables you to upload the whole product range of your online store, even 100,000 products, to the sales environment of your choice with just a few clicks and a small wait. 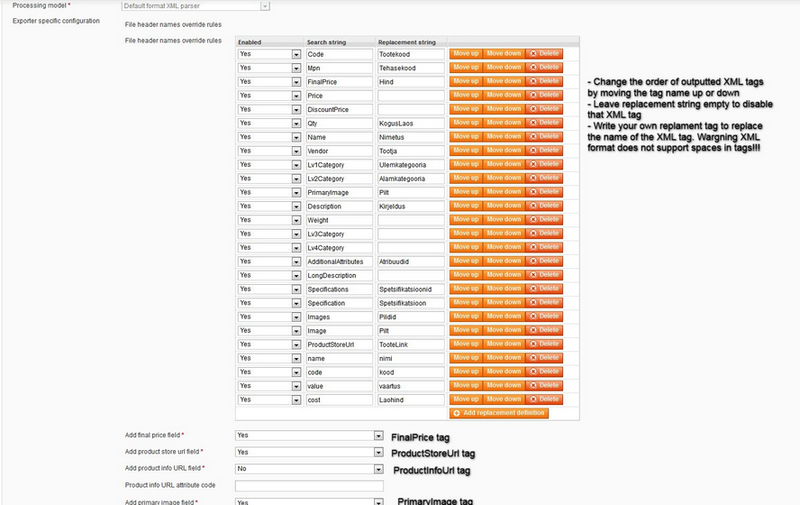 It is certainly wise to have your products listed in several places to make it easier for clients to find you. The module also gives you the opportunity to conveniently gather all the products of your online store into a single XML, CSV or Excel file. Likewise, with only a few clicks and a slight wait. A great tool for a merchant who wants to sell his goods successfully. In short, this is a very user-friendly and useful tool that will simplify the life of any busy trader significantly. 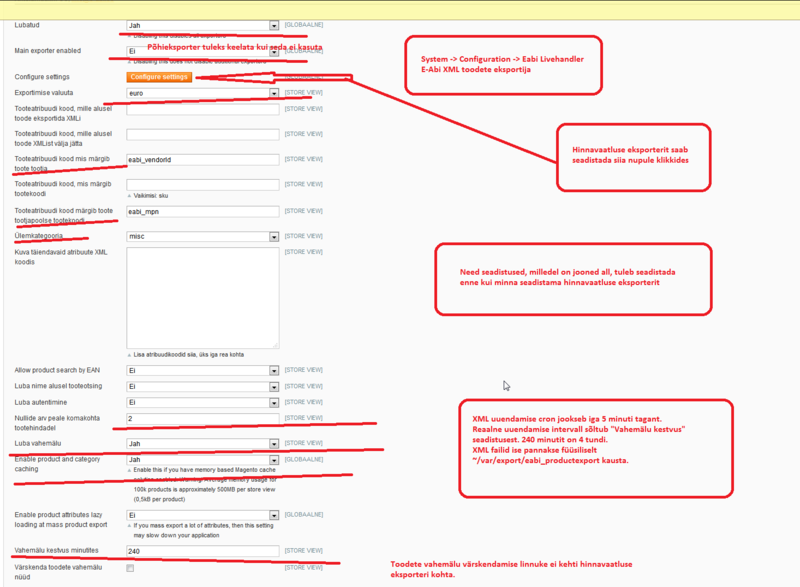 In addition to this, all the necessary settings can be easily adjusted in the control panel of your online store. Do not hesitate to make your sales more efficient, your life more convenient and important operations faster with this module.